Community engagement through archaeological ethnography: learning in situ with a field school in Gonies Maleviziou, Crete. Philioremos means ‘friend of the solitary’. And when on top of this Minoan peak sanctuary, which dates back to c.1800BC, you can feel why. A hill much lower than the imposing Ida Mountains in the south, it nonetheless commands an impressive 360° view of the surrounding mountain valley. Standing on top, usually ducking to avoid the strong, cold wind, you have the impression of being at a distance from everything. The sounds of sheep bells, fragments of speech, the howl of the wind, a passing car in the distance, a dog barking somewhere, village bells, gradually surround you and make you turn inside, to the sound of your beating heart and your panting breath. It is a sense of solitude that contrasts the criss-crossing networks and flows of people, objects, animals, memories, stories, and official bodies that make up this site. These immaterial flows often make no sound that can be picked up in the natural soundscape of the area. But as one draws near the village, the fragments of sound turn into a profusion of voices. Gonies used to be a large and strong village up until the 1960s. It is now home to less than 180 inhabitants, mostly elderly. Walking its narrow alleys, may give a first impression of abandonment. Getting to know its people, the Goniotes, however, begins to tell a story of resilience. We got to know this place through the archaeological lens. 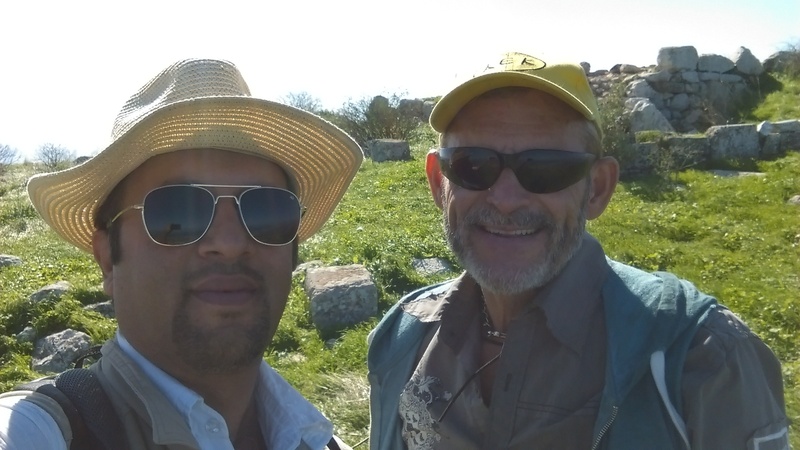 Invited to do ethnography as part of the “Three Peak Sanctuaries of Central Crete” archaeological project (https://www.facebook.com/ThreePeakSanctuariesProject/), we hoped to bring up the connections of this group of people with the Minoan past. Traces of human presence in the area since the deep prehistory abound: place names of antiquity, fragmented ancient material culture, important Minoan landmarks, all surround the daily lives of the Goniotes. It soon became evident that the locals were fully aware of the deep past of this place and expressed it in many ways. However, they did not draw a sense of identity from this past. The stories they tell of themselves are stories of mobility and settlement in the past few centuries. They know this place is ancient, but they do not believe they were always here. They are the current stewards of this place’s past rather than being a community of Minoan descent. To our persistent questions about the ancient past, they replied with more and more histories about recent events. This was what was important to them. So, the project gradually turned its attention to what the community wanted to know about itself, its history and heritage. This shift of focus broadened the scope of our project and made it more inclusive of the community interests, as well as more participatory. In a sense, the community took control over the production of knowledge and turned it into a collective process. It is this collaborative venture that prompted us to create a field school that enables the locals to teach their own history and heritage to students from all over the world. We opted for the form of a field school rather than a lecture-based one to open up the process of collective ethnographic learning. 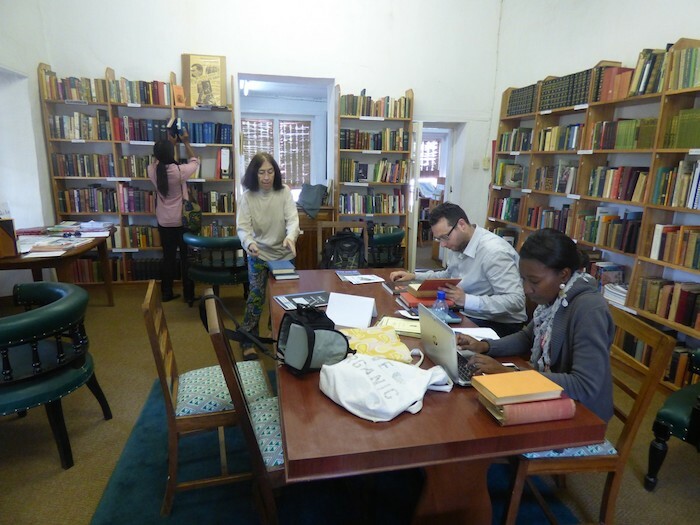 On a daily basis, students, scholars and locals share experiences, discussions, celebrations, mournings, and stories, for a month every summer since 2014, contributing this way to the creation of a community-controlled archive of knowledge. The simple act of having a local point at a wall and tell its story, give a guided tour of the village, describe the process of recognising his own sheep from those of others, and commenting on the effects of urbanization and development, broadens the gamut of educators in the village. Everybody can be a teacher. The subjects discussed are chosen by the speakers themselves. We usually give prompts, discussing the subject of each year’s school with people in the village. Locals impart knowledge we do not and cannot have, the embodied experience of dwelling in this landscape for decades. And we impart our own experience of dwelling in a space that is sustained by the pull of theoretical activity in academia and the realities of being in the field. Knowledge production, collaborative research is a more encompassing praxis. It involves talking to people, forging and maintaining relationships, resolving conflicts. For some people in the village, the summer school is a highlight of their seasonal life, an encounter they look forward to. An occasion when the village resonates with voices, when some houses in the neighbourhood have lights on again at night. We create a multidisciplinary space between history, archaeology, art, museum studies, archival research, and oral history that leads to incredibly rich research contexts. From the very beginning, our work was geared towards improving the livelihood of the people in the village either directly or indirectly. In the first season of our field school (2014), we collaborated with the Technical University of Crete, Department of Social Work, to provide a detailed census of the medical provisions and the needs of the village inhabitants. This census helped the social services of the Malevizi Municipality to plan better the health care for the village inhabitants, who on a weekly basis visit the elderlies’ home (KAΠH), used for physiotherapy and occupational therapy sessions, gatherings, creative activities and small feasts. Simultaneously, during the first year of our field school, the archaeologist-artist Vasko Demou collaborated with us to implement a public art installation. It was based on ethnographic information provided by the locals about pastimes, landmarks and habitual practices, and gave us the opportunity to express this collectively created knowledge in forms beyond the conventional ethnographic ways. This art installation, that took the form of a mapped itinerary in the village, was expanded in the following years into a trail that incorporated several interesting stops along the way, which reflected the embodied knowledge of the locals. Retracing the guided walks that the locals gave to us and the field school students, the trail was a way to transmit this knowledge to the visiting public. A communally created map was an opportunity for underplayed aspects of local heritage to be presented on an equal part with more male-dominated understandings of history when, for example, village ovens and the village’s springs were put alongside the heroic feats of 19th century brigands, thus creating discussion in the village about how exactly their heritage works. Engaging the locals in the production and representation of ethnographic and archaeological knowledge finds fertile ground in community art projects, such as the one we implemented in 2015. The archaeologist Celine Murphy, specialising in Minoan clay figurines, in collaboration with the experienced potter Vasilis Politakis implemented a three-week workshop that involved locals and visitors in the collection, preparation and working of clay. Within the framework of experimental archaeology, participants were asked to emulate the possible techniques used to make clay figurines. Embodied memory appeared to be a very important parameter of this workshop because a number of elderly Goniotes showed us the clay working techniques they used in their childhood in order to make their toys and utensils. 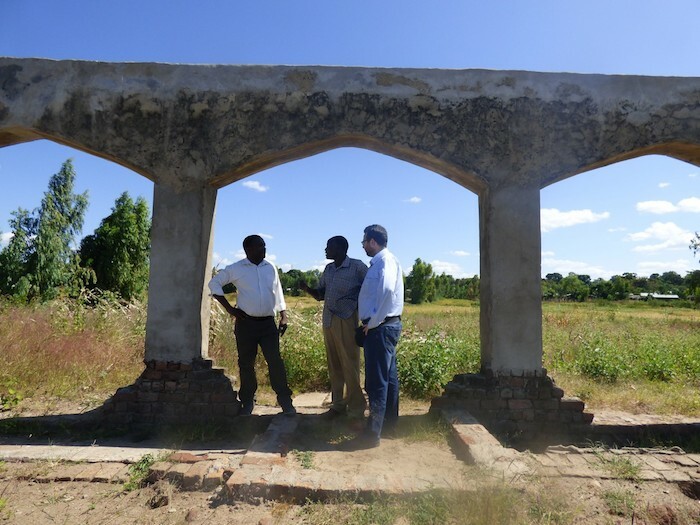 The artefacts created by the locals were presented in an open-air exhibition, which added to the already-existing path in the village, with the ultimate aim to turn the village into an open-air museum. Art practice helps us create uncommon research situations by setting up hubs in the village that bring together individuals of different generations and backgrounds, and evoke embodied memories and techniques as well as personal narratives and stories, while they result in the creation of a communally produced work of art. In 2016, the artist in residence, Aleka Karavela, and one of our former students and curator, Katerina Konstantinou, transformed a room in the abandoned school into an open studio with looms donated by the village. 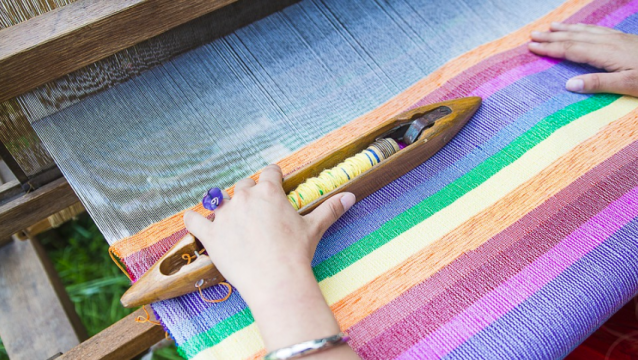 In the “loom project” men and women of all ages collectively weaved a cloth. At the end of the field school, instead of making a presentation about the project’s outcome, we chose to put words to a traditional motif sung for the first time by Nathenoyannis and recorded in the village by the Swiss ethnomusicologist Samuel Baud Bovy in 1953-1954. This song was sung during the feast closing our research season in the village. Alongside the weaving project, in the 2017 field season landscape was also a topic for exploration. Having experienced first-hand the locals’ relationship with their natural surroundings, we did not conceive landscape as a mere geographical space but as a cultural concept and a set of values significant to the local inhabitants. Some of the older ones, who know the area very well and have been walking it since childhood, gave our team a series of guided walks on what used to be the old paths that connected Gonies with the valley. In these walks we managed to acquire a sense of the landscape as a social and cultural construct modelled and embodied by the people who use it, live off of it and experience it on a daily basis. This unique natural, social and cultural entanglement helped us create a series of interpretive panels and signs, setting up a cultural heritage trail inspired by local knowledge and based on local narratives. The ethnographic information we collected about knowledge on raw materials, techniques and local produce made us want to explore further the relationship of memory and material culture in the 2017 season. Memory in the village is often carried through material objects and artefacts. From a small handmade leather sack, the so-called sakadelo, that contains the utensils necessary to the shepherds’ everyday needs, spring not only objects but stories, reminiscences, sometimes even songs. Unpacking the family trunk is like a stratigraphy of layered personal and historical memories. The 2017 season focused on exactly that: the materiality of things and their anchoring of memory. Introducing, for the first time, visual documentation into the study of material culture and memory, we created a series of interviews on camera with the aid of our photographer in residence, Manolis Kandanoleon. This resulted in the creation of the community’s oral history archive, which we will continue to enrich in the following field school seasons. Everything we collected this season relating to memories, visual images and material culture were great sources for the design of a small-scale exhibition as part of the closing ceremony of our field school. The exhibition comprised of various daily life objects kindly donated to us by the Goniotes, a number of oral narratives, artistic drawings and video projections. There were times in the process of the exhibition design that it felt odd to be so self-referential, seemingly attempting to display to the village inhabitants elements familiar to them, closely relating to themselves and their lives. We often wondered what the purpose of such an exhibition would be, especially because our aim was not to simply display the tangible and intangible elements they shared with us but to present our ethnographic information and our experience of their own life experiences in new interpretive ways. Working and thinking in a self-reflexive manner is a core part of ethnographic research and thus it soon became clear to us that the exhibition could act as a field that voices the merge of our own contextualisation with the contexts that the locals communicate to us, relating to gender issues, love, emotion, belief, reminiscences, and practices. Within the framework of Greek archaeological research, the fields of public/community archaeology and archaeological ethnography are two largely underdeveloped research arenas, mainly due to legal and institutional entanglements. Rather than perpetuate this problem, in the international field school we acknowledge local communities as integral constituents of the field, since they directly or indirectly influence our research questions as well as the processes and progress of our study. By co-producing and co-managing approaches of the ancient or more recent past with the local community, we end up with richer, less clinical, and more locally relevant results. We would like to express our gratitude to the Community and the Cultural Association of Gonies, all the village inhabitants, our artists in residence and the participants in the field school. Without them, this project would not have been materialized and enriched, allowing us to further our engagement with the village community in the years to come. The “loom-project” was centered on women’s weaving practices and drew upon art and ethnographic methods. The first seeds of this project were planted in the summer of 2015 at the 2nd Archaeological Ethnography Summer School organized by the Heritage Management Organization in Gonies, Crete, which I was attending as a postgraduate student. My contribution to the school’s fieldwork, conducted within the broader context of the Three Peak Sanctuaries of Central Crete research program, focused on unraveling the history of weaving in Gonies. 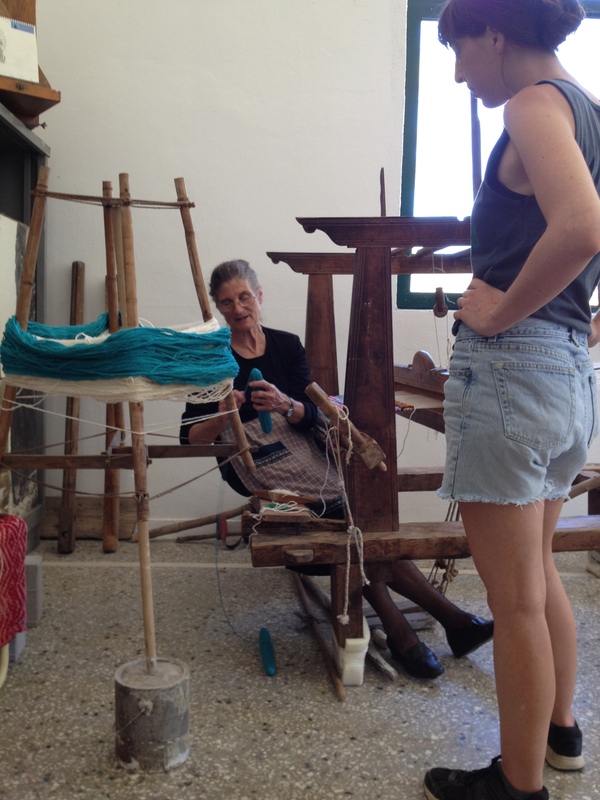 A year later, Alexia Karavela, an Athens-based visual artist, joined me to further investigate the multitude of stories, reminiscences and songs related to woven textiles and their production. This was made possible due to HMO’s decision to host an artist-in-residence program alongside the 3rd Archaeological Ethnography Summer School. My preliminary fieldwork on weaving raised many issues regarding the textile heritage and its multiple uses in the past, present, and future. Whereas non-mechanized cloth production was largely abandoned in Greece after WWII due to the industrial production of textiles, looms remained in use in Crete to meet growing demand for souvenirs in the early 1970’s. During this period, textiles were mass-produced throughout the island and were sold by wholesalers all around Greece. It was within this context that weaving provided a significant source of income in Gonies from the late 1970’s until 2000. Material evidence of this relatively recent past abounds in Gonies. Nearly every house has its own loom. Many textiles, collected and preserved mainly by elderly women, have survived long past their period of use. These collections provide a rich source of information concerning the relation between memory and the material world. For instance, the textiles recall memories of the past in which almost every woman was weaving day and night. The idea of continuing the research next year was born out of this relation between material and memory. In order to deal with the material nature of textile production and bridge the gap between research and practice, I invited Alexia Karavela to join me. Alexia has been concerned with ethnographic themes and issues of materiality, social memory and identities in her work as a visual artist (http://alekakaravela.blogspot.gr/). With a particular focus on the recent political history of Greece, she critically comments on the everyday life that continued alongside great political events of the 1980’s and 1990’s. In one of her previous works, presented for her Master of Fine Arts graduation in 2015, entitled “I Hira” (“The Hand”), she explored aspects of social memory in the manual production of textiles. Installed alongside other materials, Alexia used an old, very simple loom and textiles woven with unconventional materials such as magnetic tapes to refer to history-writing processes. Her weaving experience as well as her critical thinking towards cultural heritage and material culture additionally inspired me to design a community engagement art project that combined contemporary art practices and fieldwork methods for the summer of 2016. Alexia was to apply her artistic practices on the fieldwork, and I was to coordinate the project and collect the ethnographic information. We were accommodated by the team of anthropologists and archaeologists, Aris Anagnostopoulos, Lena Stefanou and Celine Murphy, who were running the 3rd Summer School of Archaeological Ethnography in July of 2016. 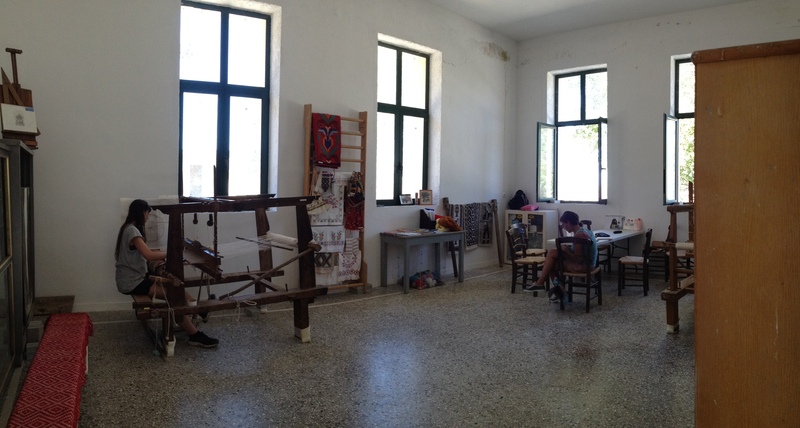 Shortly after our arrival to Gonies, we transformed a hall of the abandoned school into an open studio, and a local man donated an old loom to Alexia. The loom was restored with the help of some locals and put to working condition. Having thus occupied the school and set up the loom, we set about encouraging locals to help weave a collective textile. The community of Gonies enthusiastically responded to our call and the school was infused with new life as locals gathered daily to weave or to simply spend time with us. As one local would pick up where another had left off, all who participated left their mark on what became a collective, community rug. Locals of all ages had an eagerness to weave that had many different motivations: such as a desire to experience the past, to understand this old tradition, or even to reignite potentially profitable local industry. In all cases the experience of weaving in a loom was perceived as performing part of cultural heritage. On our part, weaving served as a point of departure by which to communicate with people and observe them interact with locally-significant objects. These interactions provided a rich source of ethnographic data not only regarding what people remember but also how they remember and how they forget. Later on during this one month stay in Gonies, a second loom was brought to our studio in the school by local women. 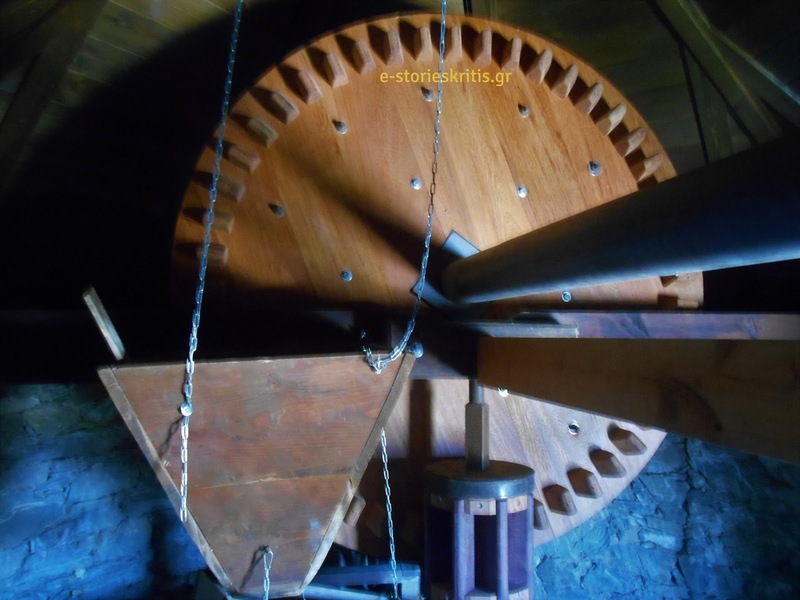 This loom was dismantled, moved in and restored again to weave a triopatitero, a weaving technique that is considered to be characteristic of the island of Crete and requires particular skills and knowledge. The energy with which elderly women commandeered the project made us step aside at times and watch them act. After all the “loom-project” aimed at making the local community define what was there to be preserved as part of their textile heritage. Moving beyond the traditional fieldwork methods required that we collaborate with the locals and therefore made us reconsider the ways we do ethnography. Rather than imposing out own research framework, we hosted them in an open studio that was designed to inspire some artistic production through which Goniotes were actively involved in defining the textile heritage of their village by nominating heritage items and by ensuring local knowledge. We allowed locals to decide on the project, to a great extent, and thus avoided playing an over-determining role in the interaction. We found that artist Alexia Karavela’s presence considerably facilitated local involvement in interpreting their heritage. Her artistic approach to the field of ethnographic research elucidated issues relevant to the poetics of fieldwork. Such an approach strengthens the creative and metaphorical dimension of the discourse produced through ethnography and challenges the ethnographer’s conception of the ways we conduct fieldwork. The “loom-project” incorporated a series of paintings produced by Alexia as a way to analyze and interpret the ethnographic material gathered in Gonies. 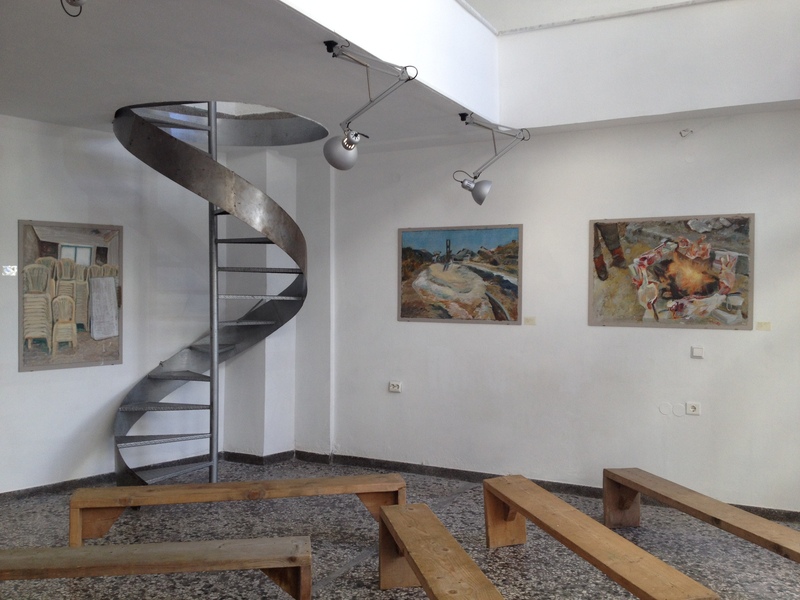 An exhibition was put together almost a year later in DA, an artist-run space in Heraklio, which is the closest city to Gonies, where most Goniotes live during the winter. Through this exhibition, Alexia proved that artists can use their position to bring new dynamics and practices not only to the production of ethnographic data but also to its interpretation and representation. Although ostensibly investigating the position of textile heritage in Gonies as cultural and economic resources, the “loom-project” was largely focused on an exploration of new ethnographic methods. Equally significant was the investigation of new ways of representing ethnographic knowledge. Several issues regarding the relationship of art and anthropology were raised during all phases of the “loom-project” such as the appropriation of methodologies and subjects between them that demand further consideration by the actors of the project. 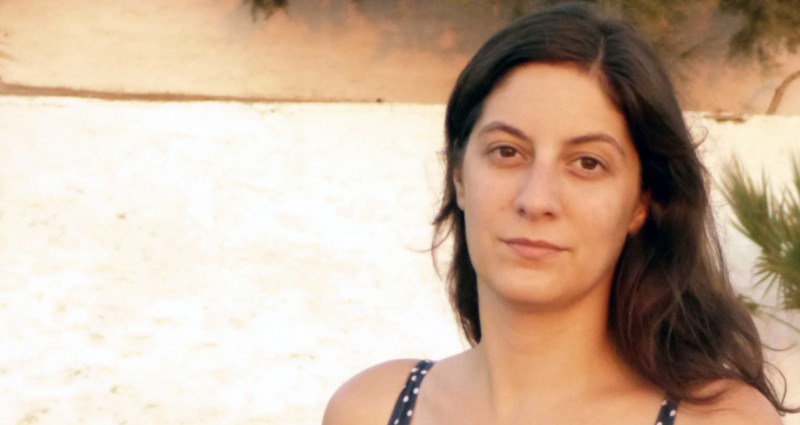 Katerina Konstantinou is a PhD candidate in the Department of Social Anthropology at Panteion University. 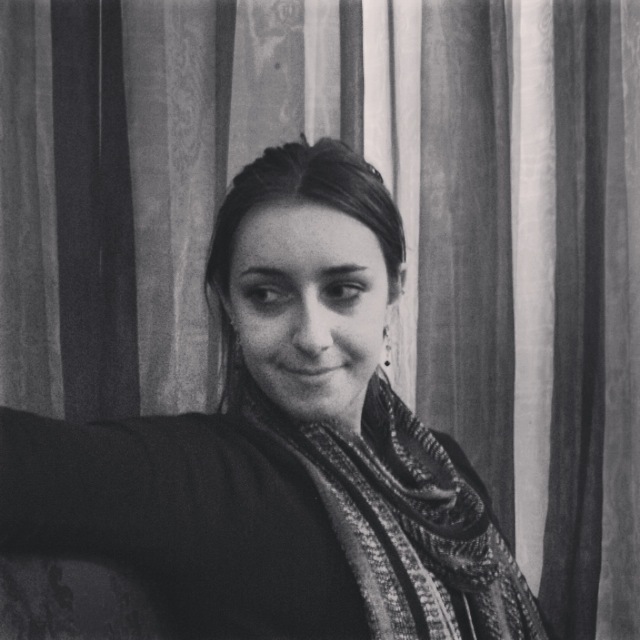 She is an art historian and holds an MA in Curating. Her research interests focus on the intersection of the fields of contemporary arts, anthropology and archaeology. She has participated in several research programs, such as the Three Peak Sanctuaries in Central Crete in Gonies. She has worked for museums and cultural institutions. She has participated in conferences and she has published texts in collective volumes and art magazines. The Great Plains of the northwestern United States and southern Canada occupy parts of Montana, Wyoming, North Dakota, South Dakota and Nebraska, as well as parts of Canadian provinces Alberta and Saskatchewan. This area once comprised one of the largest prairie grassland ecosystems in the world. Despite habitat loss, species decline and human destruction, opportunities exist to conserve and restore large areas of this unique habitat and the cultural heritage it has contributed to western expansion of frontier America. As we departed Elefsina headed west, I could not help but think of my new classmates and what they were going to miss today. It was to be our first HERMA outing, and as usual, my poor planning showed, as only myself and my new friend Hadi rose early to catch the train at Magoula Station. We sat back in our comfortable seats in a cabin all to ourselves and watched as our new home passed beside us outside the train windows. The morning sun bounced rays of light off the serene surface of the Saronic Gulf. It seemed so perfect and peaceful! No wonder this part of the world has been inhabited by man as far back as we can document. As I closed my eyes and drifted off to the whirring sounds of the slow moving train, I could not help but think back to exactly one year before, when I left my home in Dallas, Texas on a trip here that would change my life forever. 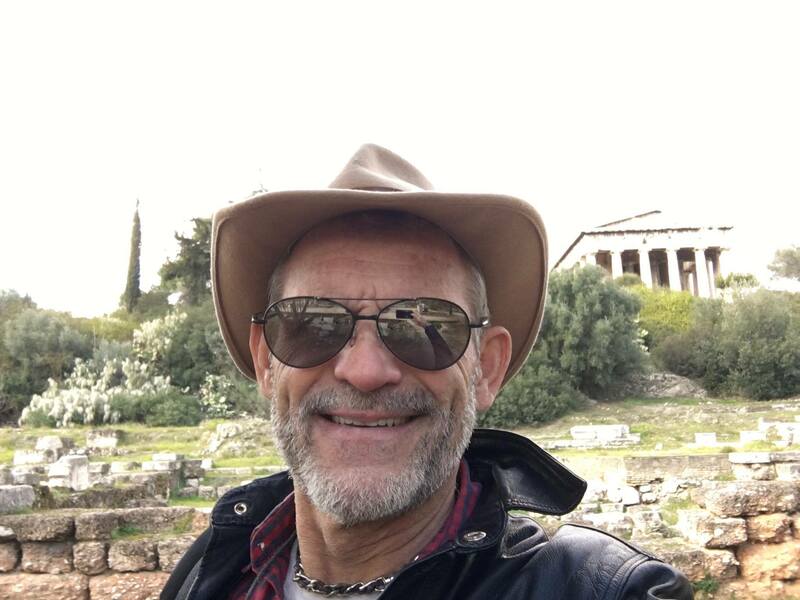 I had planned my trip to Greece for many years and despite this, very few close friends thought me serious when I announced, in the summer of 2014, that I was leaving Dallas after 30 years for an unknown future in a land shrouded in myth and ancient history. They should, and indeed most, knew better that to doubt me. My living room and bedroom were lined with nearly every ancient history book printed about Greece and the ancient Mediterranean. I left my teaching job behind and my former business, now a shell of itself, did not require my daily attention anymore. It was here last year that I came to realize what path lay before me, and all I had to do was seize the opportunity. I was nudged awake by Hadi and realized the train was slowing and we had arrived at the train station in Corinth. As we bounded over the gap, grabbed our backpacks, and hit the gravel parking lot, I could see our destination on the western sky. One of the three fetters of Greece, it was said that whomever controlled these geologic fortresses controlled all of Greece. Our trip today was going to take us to one of these amazing fortresses known as Acrocorinth. From the train station it was to be a short cab ride up the back side of the mountain to the end of the pavement. I had been to Corinth last year after a harrowing drive across the high Peloponnese mountains from Olympia. I remember driving east, past the high limestone cliffs, heading into Corinth that day. 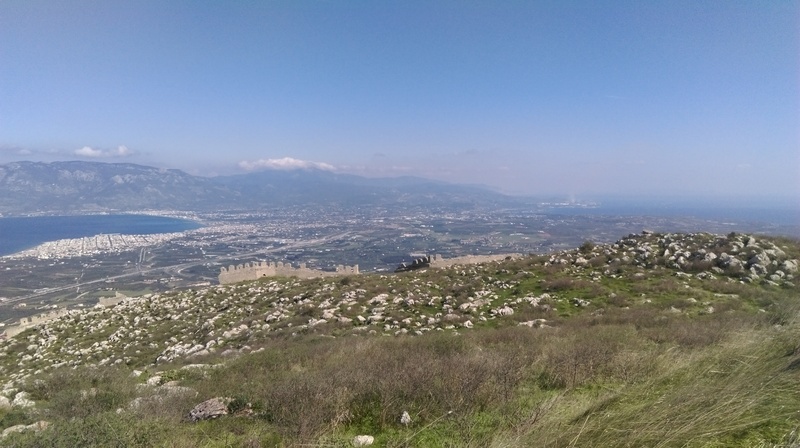 I had planned on making my way up the acropolis then, but on that rainy day I had endured enough wet mountain roads to shake even my steely nerves, so instead I spent my time in ancient Corinth, and imagined what it must be like to see the world from the mountaintop. Today was my day to finally make my imagination a reality. Acrocorinth was once an island in an ancient geologic sea, and to see it today you can certainly understand why. It still remains an island unto itself, occupying the northwest edge of the Gulf of Corinth, and overlooking the Peloponnese to the southwest. When Hadi and I reached the summit, it was as if time stood still. No matter which direction I chose to look, the enormity of the world from here made me feel small. Small in stature for sure, but we also both knew we were standing in a place of history occupied by men who fought and died over the very place where now we stood. Akrokorinthos, the most impressive acropolis of all of Greece was all around us. It had been occupied and fought over repeatedly since archaic times. Due to its geomorphology, the acropolis has always had a secure water supply and, indeed, even today, there is water in the springs at the top of the acropolis. Hadi and I were fortunate to be able to explore the springs, and we entered the ancient stairs that led us into a walled underground cistern with plenty of spring water. The acropolis was once home to many people as there are ruins of homes scattered about, but it is the fortified citadel that is prominent all around. It was heavily fortified during the Byzantine occupation, it later became a Frankish outpost, then the Venetians came and the Ottoman Turks. Of course, my thoughts that day were of the heroes of ancient times. The Mycenaeans were here, of course. Agamemnon must have ventured here as his Mycenaean citadel lay only a bird’s flight away. Alexander from Macedon must have been here as well. The Romans laid claim here during those days of occupation while their armies carried much of Greece back home across the Ionian Sea. We sat on the high citadel walls, ate bread from a bakery back in Elefsina, and stared into the abyss that lay below us. As the hours passed and the warm Greek sun took its early departure behind the western mountains, we knew it was time to leave. Time is marked here by nature itself. The sun’s slow departure can be announced by a crisp mountain breeze that speaks loudly if you stay too long. As we exited the fortress and asked a stranger to take our picture, I felt a connection that I still feel to this day. As Hadi and I walked the entire road down the mountain to ancient Corinth and we talked about our experience here today, I was thankful. Thankful to a place that treasures it heritage like no other place in the world. Thankful for the opportunity to experience my world from a perspective that gives me hope and a desire to make a difference. Most of all, thanks to a program like HERMA and the new friends that I carry with me on my new journey. Rae Rippy was Student Academic Officer for the HERMA class of 2015-16. With a background in business, journalism, and geology, he was interested in the preservation of heritage around the world, and the role of education as it pertains to that goal. Rae has been in the HMO family since 2015 and has contributed enormously to our cause. We regret of Rae’s premature passing and we commit to continue his work for the benefit of heritage internationally. Hadimkoy is a small Turkish city 44 km from Istanbul which belongs to the Arnavutkoy municipality. The city, like the rest of the broader Arnavutkoy area, is included in the greater development plan of the Istanbul Metropolitan Municipality (Istanbul&Istanbul Metropolitan Municipality, 2011), which is planning the expansion and reorganization of Istanbul’s city borders, the formulation of satellite and smaller urban centers, and the expansion of the existing urban facilities such as: public transportation, green spaces and metropolitan parks, highways and a new airport. Consequently, the change of the environmental, social and structural characteristics of the Arnavutkoy district is expected. Considering those future alternations, the rapid growth in the broader area of the Arnavutkoy municipality, the expansion of the urban zones and the increase of inhabitants, as described above, the formation of a museum which is going to collect, document, interpret, preserve, and promote the historical facts and traditions of the Arnavutkoy region seems crucial. 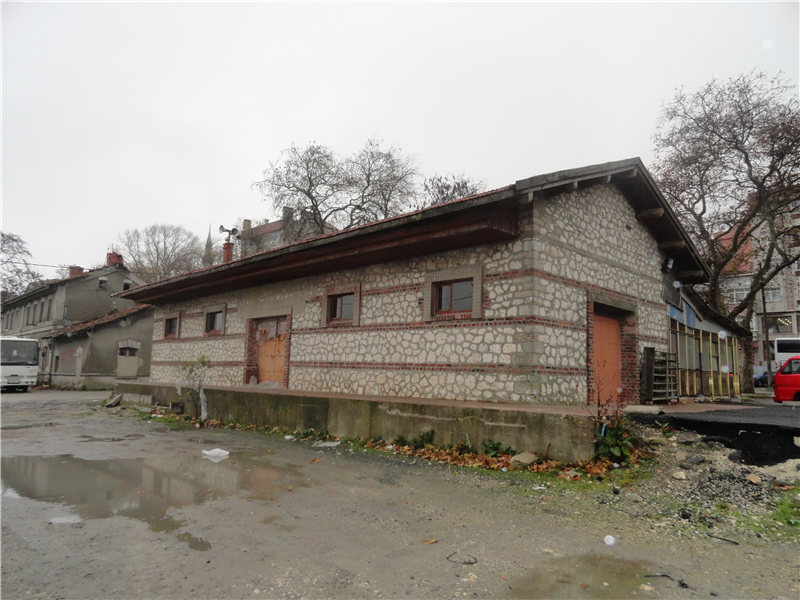 That led to the decision, to turn two buildings of the Old Railway Infrastructure located in Hadimkoy city into a museum named Arnavutkoy Museum – Hadimkoy Station. A Periodical Exhibition Venue, where temporary exhibitions will be hosted. Their subject could vary, but still should be related to the museum purposes. The subject of the Arnavutkoy Museum – Hadimkoy Station will be the presentation of the local history and lifestyle in time through the relation and interaction of human activity and landscape. On one hand, the way that the environment set the conditions in which local activity developed (i.e. 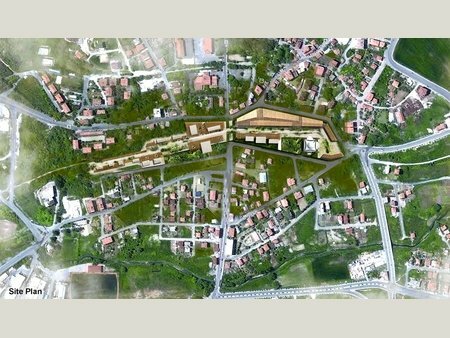 the Terkos Lake water supply system) and on the other hand, the way the people transformed the landscape, adapting it to their activities and needs (Aksoy 2012; 5th International Architecture Biennale, 2012). Respectively, its mission will be to demonstrate and narrate to the public this landscape and social change depended on the cultural activity. To reveal the natural, demographic, ethnic, economic, religious, architectural and urban alternations that formed Arnavutkoy’s region contemporary characteristics (UNESCO, 2008, 2014; Kartaler 2012). It’s common sense that when speaking about a museum, one of the most important components is its collection. In the Arnavutkoy Museum – Hadimkoy Station the material gathered so far is historical data concerning the previous function of the buildings; facts related with the railway system, maps which locate Hadimkoy and older villages of the Arnavutkoy area during time, as some demographic information concerning the population which lived in the area before the population exchange in 1923-24 (Stavridou, 1991; Meellas 2000). Hence, a material collection is not gathered yet. Research results will be exhibited within the museum premises, and through public awareness more tangible and intangible assets are expected to be gathered. So, how can a museum without tangible collection function and what is its importance? The most fascinating fact in the Hadimkoy Station Museum case is that the present of the Arnavutkoy district is the collection which should be gathered. Realizing that in a few years the area will be changed from the ground up, now is a unique opportunity to collect objects and testimonies which in a few years will belong to the past, and nothing will remind Arnavutkoy’s current aspect. Archaeologists usually gather findings which they can’t explain or identify, because they belong to a civilization which doesn’t exist anymore. So they come up with assumptions or hypothesis, concerning their function and utility. Respectively the social and economic activity remains mainly an interpreted assumption (Pearce, 1994) . In this case there is the opportunity not to have assumptions about the aspect of the area, but real testimonies considering all the important facts which are indicating the environmental, social, cultural, and economic activity in Arnavutkoy. This is the reason why it is proposed the collection gathering to be implemented vice-versa. Starting from year 0, which is today, the collection should be gathered and interpreted backwards. The residents of Arnavutkoy – Hadimkoy, especially the elders are the most important component in this effort, as they are carrying all the important knowledge connected with everyday activities and landscape alternations (Jones 1997). Istanbul&Istanbul Metropolitan Municipality (2011), ‘Facts & Figures about Turkey and İstanbul, İstanbul a vibrant city of a thriving country‘. Pearce Susan (1994) [editor], ‘Interpreting Objects and Collections‘, Routledge, UK. Siân Jones (1997), ‘The Archaeology of Ethnicity, Constructing Identities in the Past and Present‘, Routledge, UK. Theodora Tsitoura is an alumna student of MA in Heritage Management 2012, with a Bachelor in International and European Economic Studies (AUEB). Currently she is a volunteer in the Exile Museum of Athens and in Diadrasis NGO. Theodora’s main interests are Heritage Management, Dark Heritage, Urban Heritage and Cross-Institutional Interdisciplinary Collaboration management. 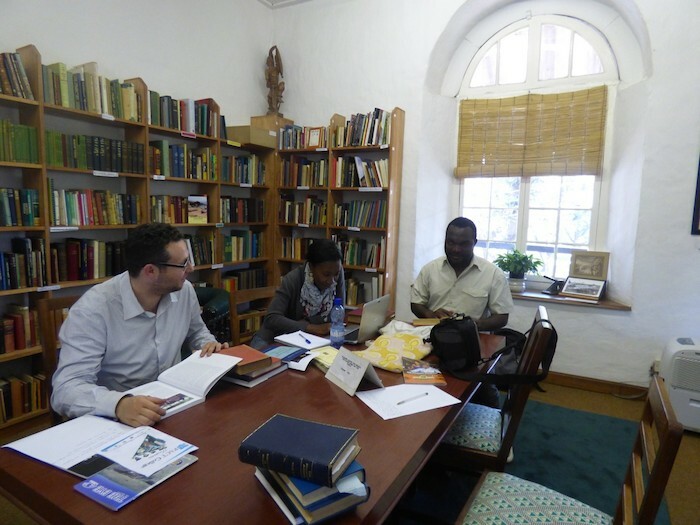 As part of fulfilling our MA in Heritage Management, we have started field research which will lead to designing and preparing a management plan for the Slave Trade Heritage Route and Dr. David Livingstone trail in Malawi. The Government of Malawi, through the Department of Antiquities, has nominated this series of sites on the UNESCO Tentative List. 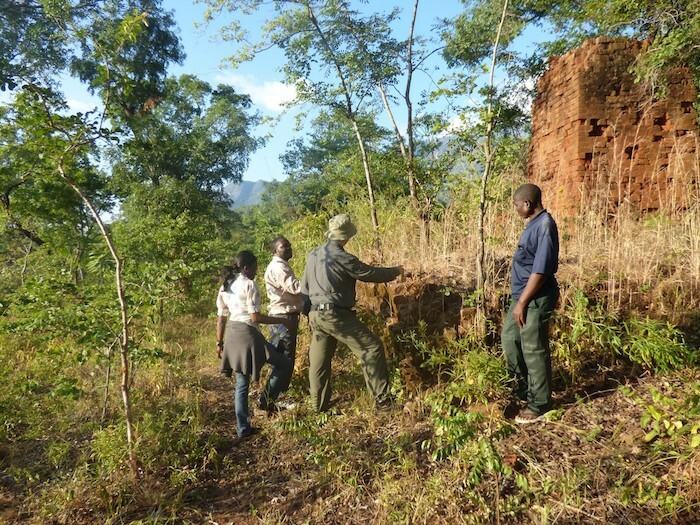 To continue with the efforts done by the Malawi Government and UNESCO, we would like to document these sites, re-assess their values, carryout condition assessments, analyze and identify the stakeholders, and later, propose the best practice to better manage, protect and enhance these sites. Slave trade was introduced in Malawi by the Swahili-Arab traders in the 19th Century. The main slave routes within Malawi were Nkhotakota, Karonga, Mangochi and Phalombe, where the Swahili-Arabs and their Yao allies built their headquarters and stockades, organizing expeditions to capture slaves. These routes were the major terminus of the slaves throughout Central Africa going to the East African coast markets. At Nkhotakota, Jumbe, a Yao local chief, would send about 20,000 slaves annually to the market of Kilwa. Dr. David Livingstone, a Scottish missionary and explorer, visited Nkhotakota in1861 where he witnessed slave trade at its peak. He got horrified in the way slaves were handled at Jumbe’s stockade and he described it as “a place of bloodshed and lawlessness”. In 1864 David Livingstone visited Nkhotakota again and met Jumbe. He was able to secure a treaty between Jumbe and Chewa Chiefs to stop slave trade and hostilities between them. However, the treaty did not last long as Jumbe continued with slave trade. It was up until Nyasaland came under the British protectorate in 1891 that slave trade completely came to an end. It is important that this heritage be preserved to keep this memory alive for future generations to learn from. These routes are justified heritage because they also have a link to missionary work. When David Livingstone reported accounts of his experience on his second journey to Africa, he recommended that Christianity be introduced in the area to counteract slave trade activities. This led to the coming of important missionaries along the slave trade routes. To document sites related to slave trade heritage and Dr Livingstone trail in Malawi. To re-assess the site values and come up with a comprehensive statement of significance about slave trade heritage and Dr Livingstone trail in Malawi. To identify all relevant stakeholders and meet them to seek their views as far as slave trade heritage and Dr Livingstone trail in Malawi is concerned. 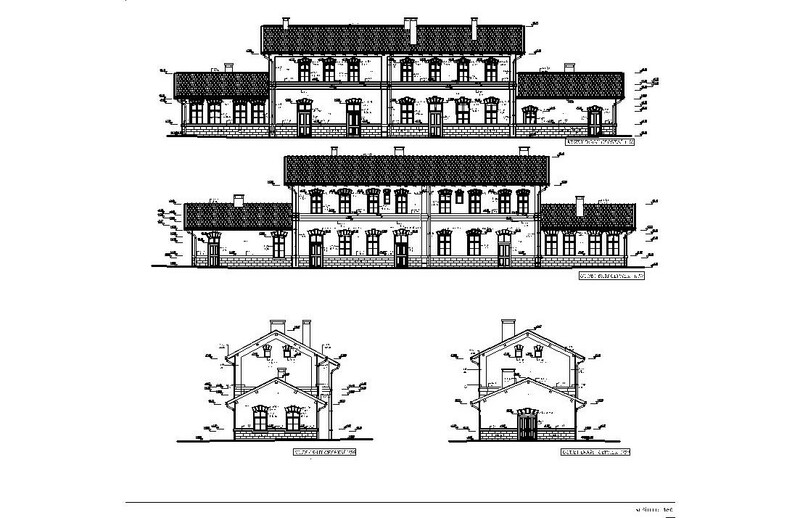 To carry out site condition assessments. To propose best practices in management, conservation, research, tourism and marketing and education and awareness-raising programs for slave trade heritage and Dr Livingstone trail in Malawi. A survey will be conducted to identify and map the stakeholders related to the project. To help carry out this survey, we are currently developing an informal questionnaire to distribute to stakeholders. Site surveys will also be used to assess the condition of the heritage sites. A condition assessment form will be used to record the conservation problems. Desk research will be used by reviewing some literature related to slavery and missionaries all around the world. Local libraries and archives will be visited to review the literature and old photographs. We are of the firm view that this project will help the government of Malawi, the international community, local and international tour operators, schools and the local communities. The government of Malawi through the Department of Culture will use the results of the project to come up with strategies on how best to manage, promote and conserve the sites. International communities like the UNESCO World Heritage Centre and ICOMOS will use this management plan document to evaluate the sites for listing on the World Heritage List. When the proposed strategies of conservation and presentation initiatives have been implemented, tour operators will use the sites to give slave trade experience to the visitors. The sites will also be used by researchers, school educators and students to study and learn about the history and practices of slave trade and missionary activities in the whole world. 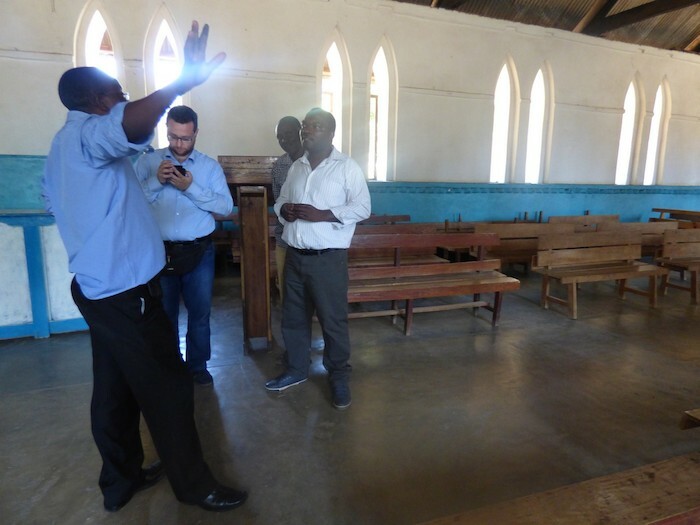 The team is very optimistic that documenting and preparing this management plan will bring a new sense of urgency and commitment to heritage management in Malawi, especially in the protection of slave trade history and the activities of missionaries in Eastern African, and by extension Africa as a whole. For the team members, this practical exercise is opening us up to new experiences and challenges in documenting and dealing with stakeholders and how to innovate, improvise, and engage with them in order to achieve our primary goals of a management plan. These slave trade routes are rare and unique heritage sites in Malawi which record the memories of hardship and inhumanity which the people of Malawi and the entire world went through in the 19th Century. It is important that this heritage be preserved to keep this memory alive for future generations to learn from. Oris Malijani is a Cultural Heritage Officer in the Malawi Ministry of Tourism and Culture under the Antiquities Department and a 2013/2014 HERMA student. He has a background in Geography as well as conservation and management of immovable cultural heritage. 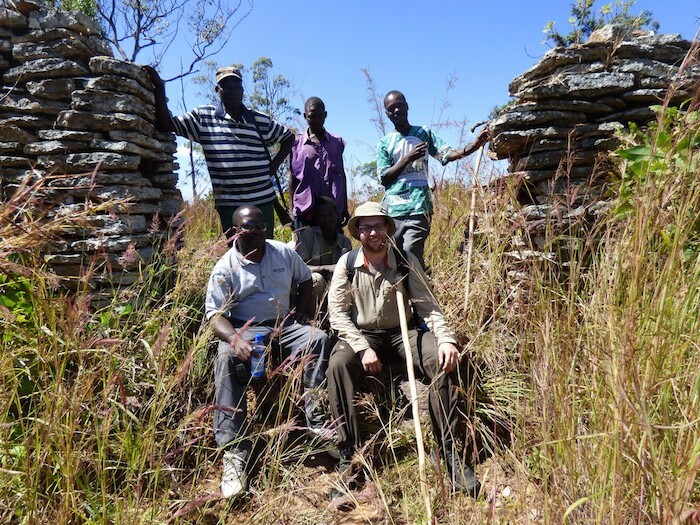 His research interests include archaeology, fundraising for cultural organizations and heritage for development.